Leading Manufacturer of high pressure aluminium oxygen cylinder, first aid kit medic 1000, house dustbin 20 ltr, kimtech pure class 5 wipers, s protection safety net 2 inch mesh size 5x10 double coat and safety dispensing cans for laboratories from New Delhi. Our cylinders are made as per the ISO 7866, IS 15660 and BS EN 1975:2000 standard, Cylinders are duly certified by TUV and PESO (Petroleum and Explosives Organization). We also have Pie (CE Mark) certificate from Apragaz. 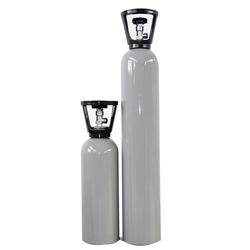 Suitable for : Medical, Industrial gases and Calibration gases. If require we can make higher capacity as per customers requirement. 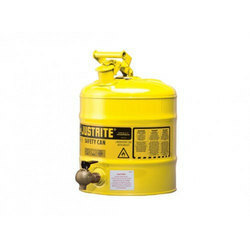 Very shortly we will be manufacturing cylinders upto 20 ltr W.C. 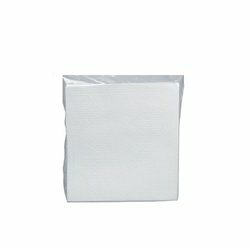 Rolled gauze 6cm x 2mtr.superior. 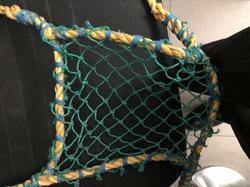 We offer an exclusive range of Safety Nets that is manufactured as per the national and international quality standards. 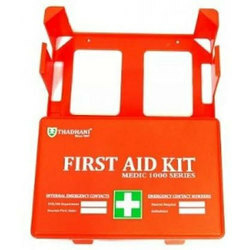 These are made by using high quality material to enhance the efficiency of all arrest function. Reliable dispensing features at an econamical price. Safety Dispansing cans hava all the benefits of Type I cans, plus added features to make these the choice of lab professional for safe dispensing of hazardous liquids into test tubes, small flasks and beakers. Fill spouts have self- flosing perssure-relief caps and double-mesh flame arrestors. Self closing taps provide trouble free dispensing. Cans fitted with the tape offer more controlled dispensing, while tap provides a greater flow. Polyethylene Dispensing Shelf Can has superb corrosion protection, and a unique current carrying carbon insert embedded into the container allows for proper earthing. All styles are FM approved. Steel & Poly Shelf Cans have a tap mounted 51 mm above the bottom to eliminate the need to lift the cans during dispensing. 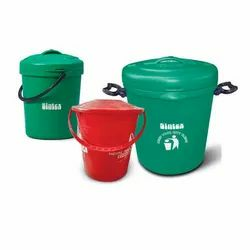 Steels Tilt Cans have a tap on top and the can rests in a sturdy metal cardle. Cradle base measures 351mm X 356 mm. 16.875" H x 11.75" Outer Dia. 429mm H x 298mm Outer Dia. Looking for Safety Kits. ?